Find out why Russell is wrestling again, and if it will still be possible for him to compete soon when he already hurt his neck. See what it means to be a true artist in your business. And if you aren’t a true artist in your field, find out how you can become one. 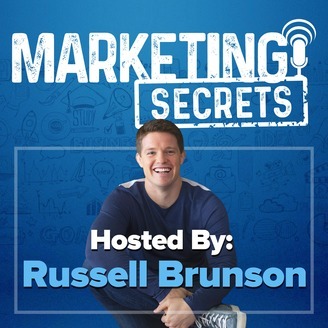 So listen here to see how Russell is a true artist of funnels and how you can become an artist in something you love as well. What’s up everybody? 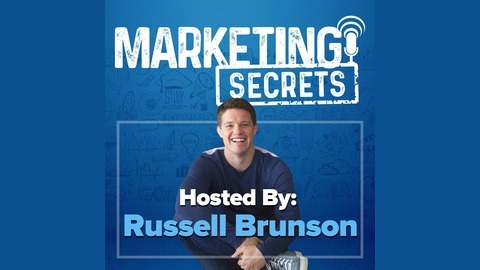 This is Russell Brunson, welcome to the Marketing Secrets podcast. I’ve got some cool stuff to share with you today, not going to lie, I am excited. So let’s queue up the theme song and I will be right back. Alright everybody, it has been a little while since I recorded a podcast. We’ve had a whole bunch in the queue which has been nice, but the queue ends today. So my brother is like, “You need to record a podcast.” And the reason why I haven’t been doing it is because I have like 4 or 5 in my notes that I want to do. For example, I just got back from, I guess not just, a couple of weeks now, but a Disney Cruise with my kids for a week, which was insane. We set a huge goal with them, and I want to talk about that. And then number two, we went straight from a Disney Cruise to Puerto Rico to hang out with a whole bunch of amazing people like Brendon Burchard and the list is huge, Rachel Hollis, Lewis Howels, anyway, I’m not going to riddle off all the names right now, but a whole bunch of amazing people. And I want to do a whole podcast about what I learned and cool stuff there. And then since then, I’ve been home and a bunch of other stuff’s been happening. And I’ve got like 4 or 5 that I want to share. But I’m going to jump this one up in the queue because, for two reasons, number one is right now I’m actually sitting here in my office at my house with a huge ice pack on my neck, and the other three or four are going to take a little more preparation, but this one I wanted to share with you because I think it’s super important. But before I share this thought, some of you guys are wondering, “Russell, why do you have a big icepack on your neck?” So here is the reason. In a week from tomorrow I am flying to Vegas and I am going to be standing on a scale to weigh in for my first wrestling tournament in almost 18 years. Yeah, and I’m really excited. I remember when my senior year in college, I went to the national tournament and I remember they had just opened a new division, it was called the Veterans division, and there were these dudes, they were 80-85 years old, out there wrestling. And I remember thinking, I hope that’s me someday. I hope that when I’m 80 years old I still come out here and I wrestle. And then fast forward, I didn’t end up doing good. My senior year I kind of missed my goals and I was going to spiral into some horrible depression, but instead I shifted over and focused all my efforts on business, which is how I grew this business, and long story short, it’s been 17-18 years and I haven’t wrestled and competed. And I miss it, and I want to. And the open nationals are happening next week. So two years ago one of my buddies I was wrestling with, he went and I didn’t know about it. And he went and came back and told me about it. And I was like, “What? I want to go. Dude, let’s go next year.” So the next year we’re going to go, and then I had booked my inner circle meetings at the exact same time. So he was going to go and we were wrestling and I accidently threw him and tore his shoulder out, so he wasn’t able to go. So this year I was like, okay. So I moved my inner circle meetings all around so I could have April open to be able to go to this tournament. So then I started getting in the mail supplements and creams and powders and pills and I was going to acupuncture and chiropractor every single day. I was doing everything. So fast forward now, it’s been a week. And today I wrestled at wrestling practice and it was tough because I still have the sharp nerve pain, but I was able to go through and actually, for the most part, able to finish it. It hurt. But I just got done a little bit ago and now I’m icing it. Anyway, but it’s crazy because weigh ins are a week from tomorrow, I’ve had two wrestling practices, technically, and I’m going to be going in against guys who’ve been wrestling for a long time. So anyway, I’m sure it will be a rude awakening for me to find out how far gone I am from wrestling shape of 18 years ago. But nevertheless I’m still excited just to go out there and compete. Even if I lose all my matches, I just want to go out there and do it again, and start the clock of, this is something I do every single year. A lot of people go and train for marathons, they do them every single year. I’m not a marathon runner, I’m a wrestler, so I’m just going to once a year do this tournament, and I’m just going to put it on my calendar and just do it. One big difference is from now to next year, I’m going to definitely strengthen my neck a lot more so I can handle all these young whipper snapper’s hanging on my neck, trying to choke me out. But anyway, that’s what’s happening. So I’m excited, but what’s interesting is there’s been kind of a recurring theme the last week or so, that I wanted to share with you here because I think it’s important in all things. And I look at this from, this is some of the conversations started with chiropractic or acupuncture or business or whatever. But it’s like, there’s a lot of people who do every job. And the difference between people who know how to do the thing and people who are artists at the thing. An artist is somebody who’s obsessed with it. I know I’ve gotten massages a lot of times where, “Oh, that was a good massage.” And then sometimes you get a massage from somebody and it’s like, “Oh my gosh, this person, this is their art. You can tell.” It wasn’t just like, “I did the thing, rubbed your shoulders, rubbed your arms, flipped you over, rubbed your shoulders, rubbed your arms, you’re done.” For some people it’s an art form and you can tell it’s different and special. They put in more time and energy and effort into every single thing. And I remember when he said that I was like, that’s super cool. And it’s interesting, as you work with people, you can tell that there’s two types of people. People who are good at the thing and the people who are true artists. And I’m telling you guys this because you know, I think a lot of times when you guys come into this business or this industry and you’re trying to figure this stuff out and you’re like, “Oh I do the thing.” It’s like, if you do the thing that’s good, but if you really want to make money, you have to become an artist. It can’t be just like, “oh yeah, I learned this thing, therefore I’m going to teach it.” You have to be obsessed with the art of whatever your craft is. That’s what attracts people to you. That’s what gets people to refer you. That’s what makes you special. It’s not like, “Oh yeah, I can do the thing just like everybody else.” There’s a million people that teach marketing, there’s a million people that do marketing. But why have I gotten so much attention? And it’s because for me this isn’t just I do the thing, this is art for me. I could have stopped building funnels a long, long, long time ago right. But why do I do it consistently? Why do we have a marketing meeting this morning talking about the five new funnels we’re working on? Why am I building teams of designers and copywriters and funnel builders and traffic people. It’s like, for me this isn’t just making money, this is my art, this is how I do it and obsess with it. I want to keep doing it, I don’t want to stop doing it. Just because I’m making money doesn’t mean I stop doing it. For a true artist, they’re not in it because of the money, they’re in it because of the art. One of the funny stories when we were in Puerto Rico, I was having dinner with Rachel and Dave Hollis, who if you guys don’t know Rachel, she’s the one that wrote, “Girl, Wash Your Face” and now “Girl, Stop Apologizing.” She had the number two bestselling book of all last year, next to Michelle Obama’s. And she’s just killing it. And I was sitting there and we were talking about, you know, funnels, as I do. And I was getting all excited and I was just geeking out on it and Dave was so funny, he said something…this is Rachel’s husband, he was there sitting with me and he was like, “Man, I am excited about my kids, I’m excited about my family, I’m excited about my business. But I’ve never been excited about anything like you were excited about funnels.” And I was like, “Oh I know, this is like my art and I can see it.” And when I see someone who’s got a message or a thing and I can see how my art can help amplify what they’re doing and it just, it gets me so excited more than anything. So for you I just want to, I’m trying to give you guys something where I want to stop and take an inward look at yourself and be like, ‘Okay, the thing that I’m doing, selling, teaching, whatever, am I just doing this because it’s like the thing that I happened to do?” Or is it like your art? Are you obsessed with it? When you go to bed at night do you think about it? When you’re out walking around all day is it on your mind? Would you do it for free if you had to just because it lights you up that much. If so, then that’s your art. If not then it’s like, okay either you need to start getting more obsessed, like become hyper obsessed with it, or find something else you are obsessed about and focus there. Don’t just do the thing because you think it’s going to be the most money. Find the thing you’re most obsessed about and that will bring you the most money, and by the way, the most happiness as well, which is way more important. You will find very quickly that money does not buy happiness. But doing what you’re obsessed with, doing your art, that does bring happiness. That does light you up like nothing else. So that’s what I recommend doing you guys. Either take your thing that you’re doing and double down, triple down, 100x down and make it become your art. Or shift and start focusing on your art. And if you’re like, “Oh my art can’t make any money.” It’s like, no. I look at a dude like Wimhoff, I don’t know if you guys study Wimhoff, but he’s this guy they call the iceman and he goes and does cold plunges and cold baths and walks on glaciers, takes people on hikes on glaciers in bare feet and shorts. It’s like, this dude who walks in ice, there’s no money in that. But it’s like, no, this dude is obsessed with it and it’s become an art and because of that he’s created books and courses and events and all these things because it’s an art to him. When you’re obsessed and it becomes an art, people see that and they’re like, “Why is that guy so excited about funnels?” or about walking on ice? Or about biohacking? Or about being a chiropractor or an acupuncturist or whatever? The more obsessed you are with your craft, the more people will notice and they’ll start coming to you in droves, they will flock to you because of that. So there’s my message for today. Because I’ve had a chance, especially during this last week, to work with people who are definitely good at what they do and I’ve had a chance to work with people who are true artists. And I want to recommend to you, become a true artist, it’ll mean everything to your clients, to your business, to your happiness and to your bottom line. Alright guys, that’s all I got. I’m heading in today, I’m going to go do my art and I am so excited for it. And I hope you are excited about yours as well. Thanks everybody, we’ll talk soon. Bye.